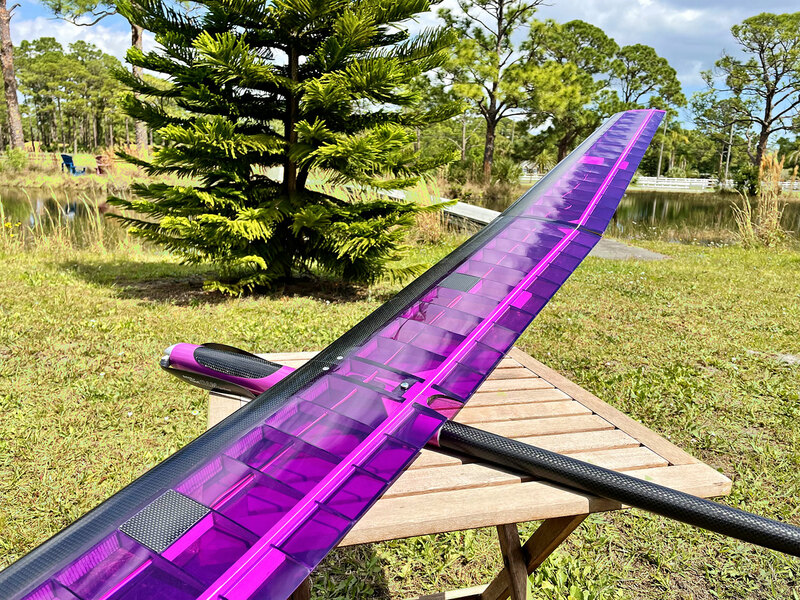 The Pulsar 2.5E Pro is the latest and most advanced addition to the ever-growing Pulsar family of hand-made electric sailplanes. 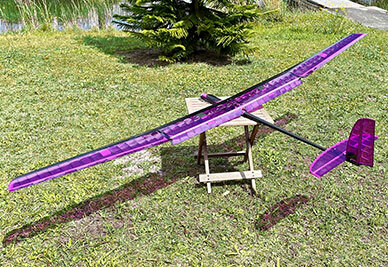 Built at our request, this model is the next evolution step of the mid sized 2.5m Pulsar. 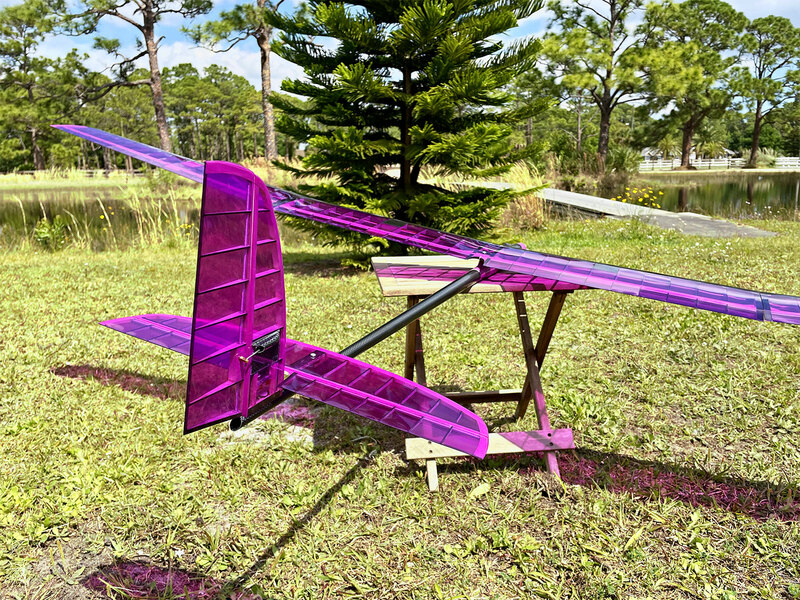 The Pulsar 2.5E models use the AG 25 modified airfoil designed by Dr. Mark Drela specifically for competition thermal duration sailplanes. 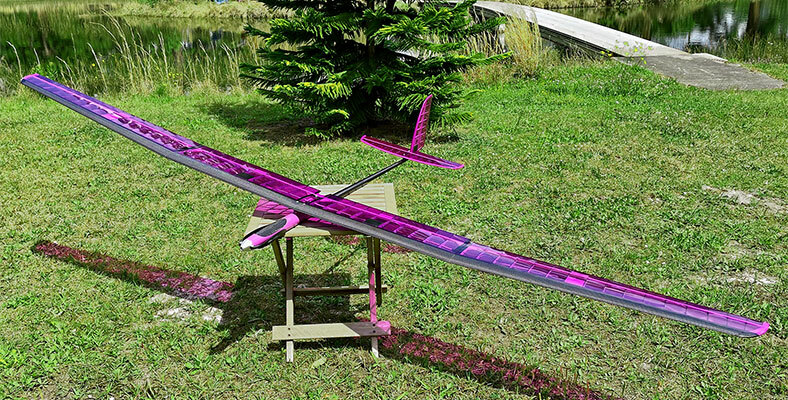 Just like its larger cousins, the entire model is constructed using free-flight techniques. 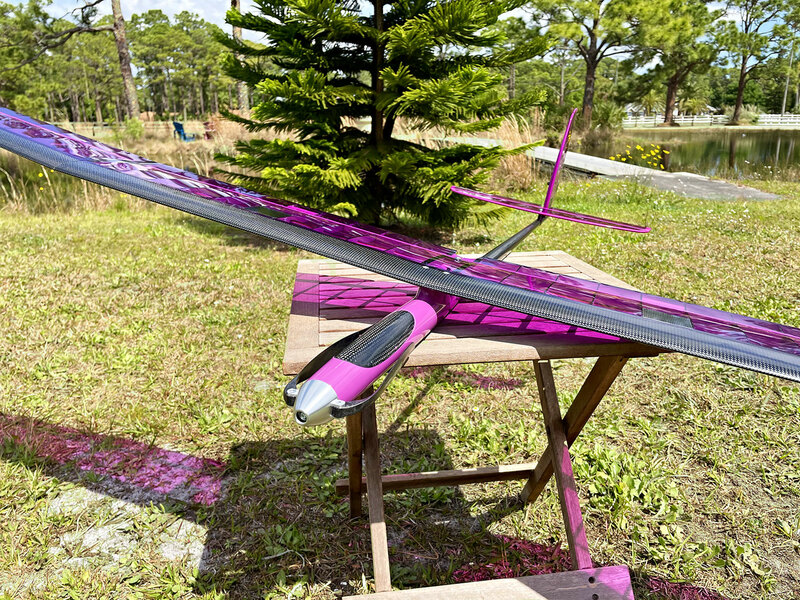 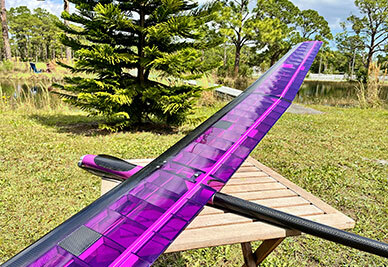 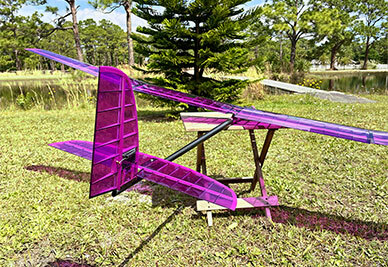 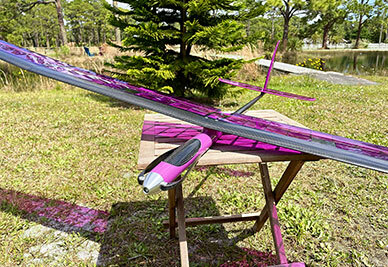 The wing is a balsa built-up Carbon Fiber and Kevlar D-box design that utilizes carbon fiber faced balsa ribs and carbon fiber trailing edge. 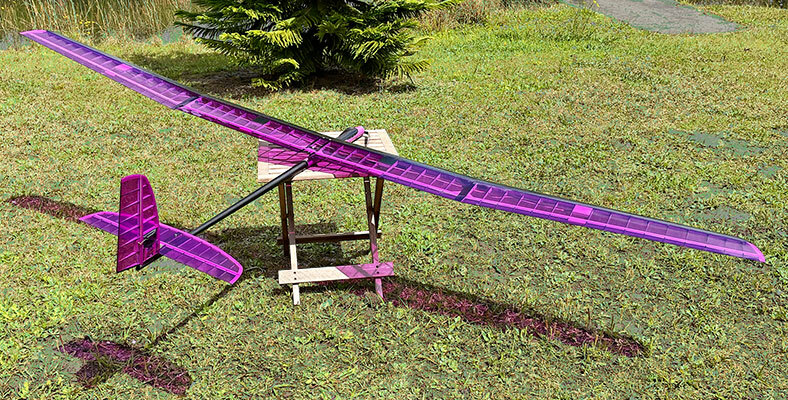 The open section of the wing, as well as the tail parts, are covered with UltraCote. 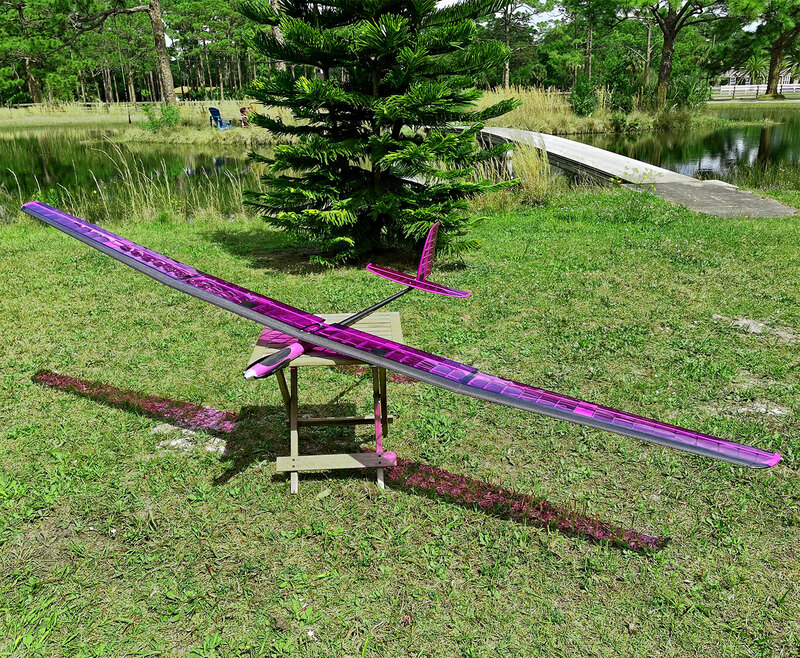 The fuselage is made of white gel-coated 2.4GHz friendly fiberglass/Kevlar with carbon fiber tapered boom and removable carbon fiber canopy. 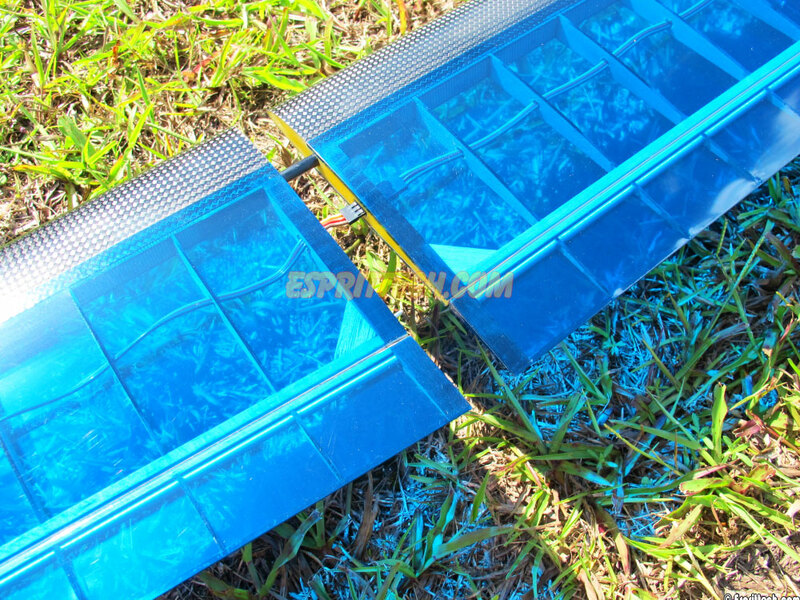 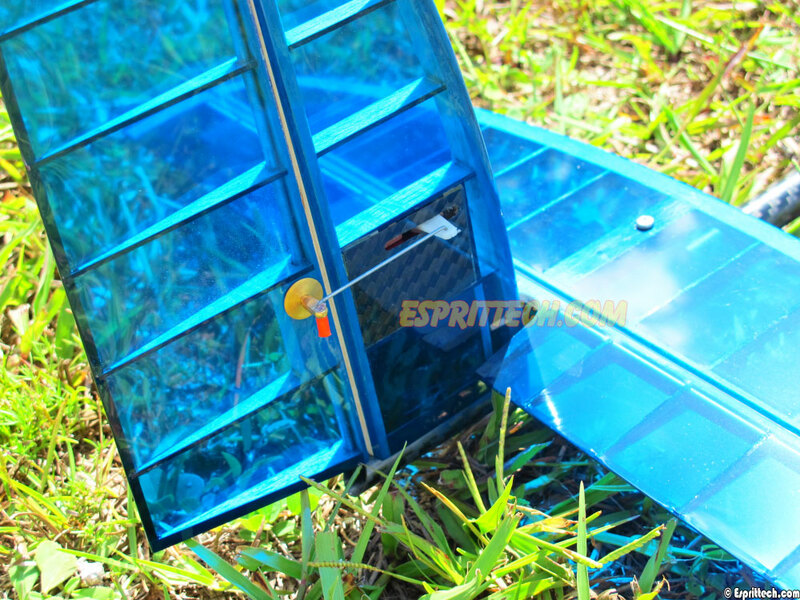 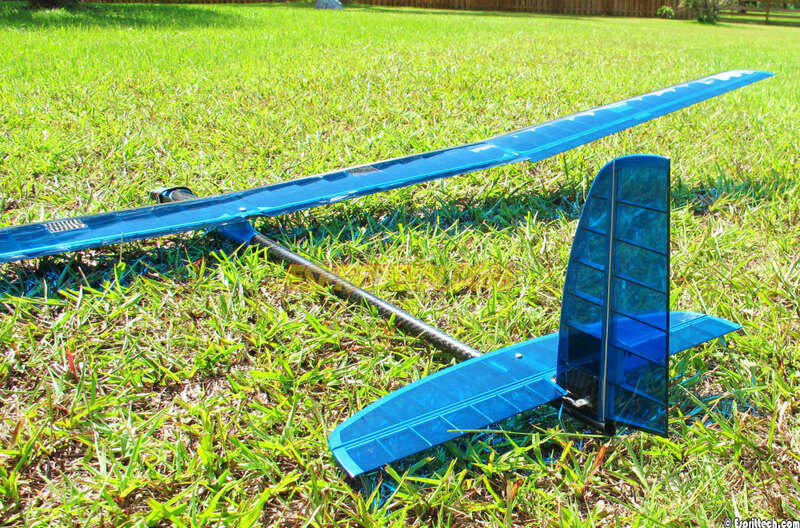 The three piece wing and 2-piece conventional tail are each easily removable for transport and storage. 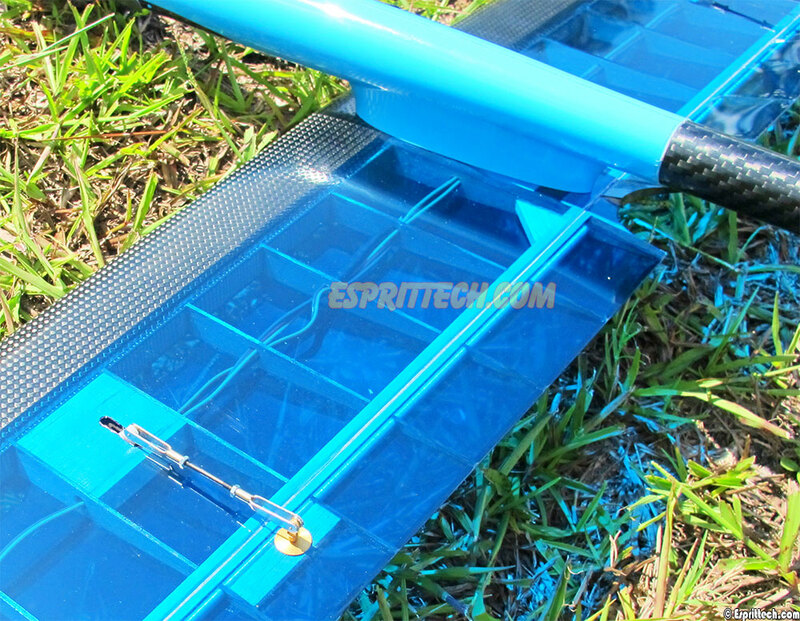 The rudder as well as elevator servos install in the vertical fin. 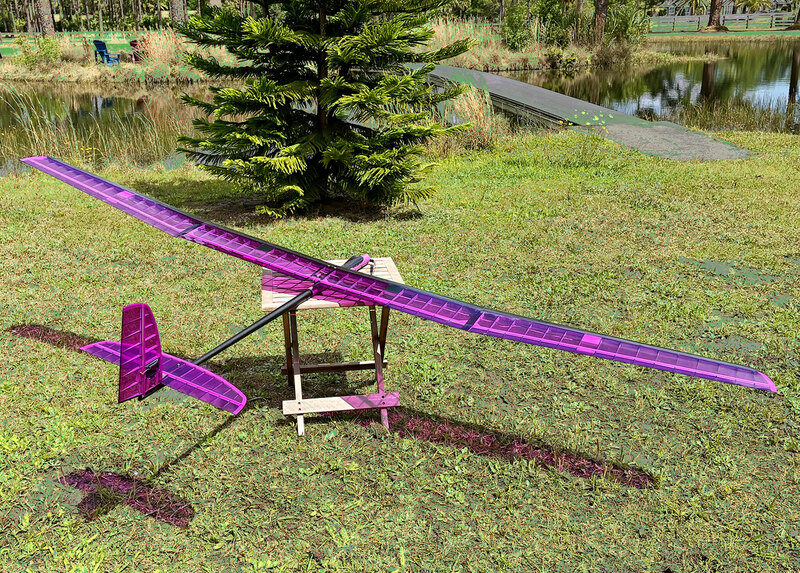 The careful use of composites, combined with an underlying wood structure in the wing, ensures a good light structure that will hold its shape for a long time. 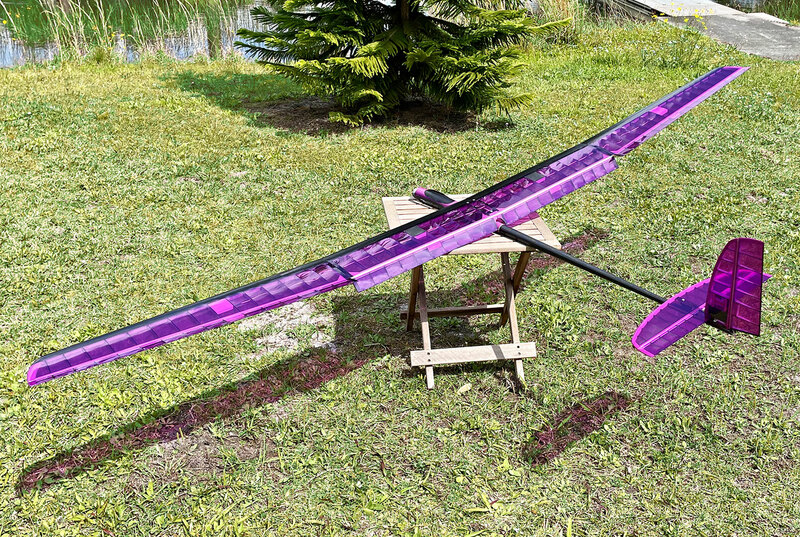 This is an extremely light, high performance model.